When it is time to take down the Christmas tree, Ginnie thinks of the long, gloomy winter ahead - nothing to look forward to, nothing to do. But that is not at all the way the winter turns out. The excitement begins when Ginnie first helps the strange old lady with her bundles and realizes that she is desperately afraid of something. 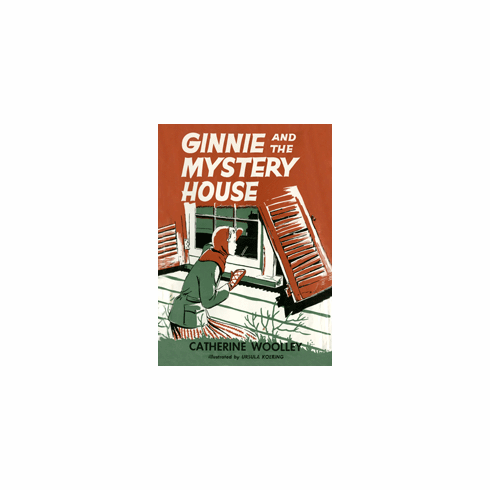 Before long, Ginnie is a little frightened herself, and mystified, too, because she discovers that the old lady lives in a forbidding shuttered house where footsteps can be heard in the attic and someone, or something, wails in the night! The weeks go by, with snowstorms and sleigh rides and parties, but still the dark house refuses to yield its secret. And Ginnie and her friends will not be content until at last they solve the mystery.